Well...ok. I didn't see this coming. Turns out, LittleBigPlanet 3 isn't going to be the next game in Media Molecule's excellent series of rucksack-themed platformers. 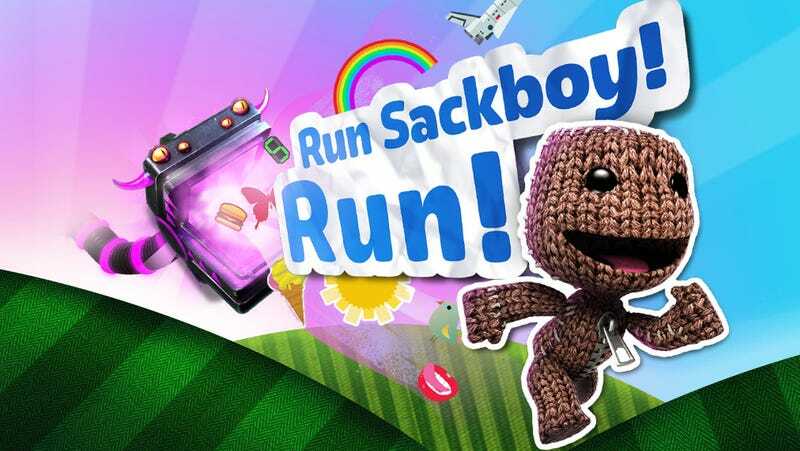 Because next month Sony is planning to release a Temple Run-style mobile game called Run Sackboy! Run! The company was careful not to brand this as an "endless runner" in its announcement. Instead, they're calling it a "free-to-play, platform-survival game built exclusively for PS Vita and mobile devices, in which you can earn exclusive costumes for LBP3." I have no idea what that means. So let's examine what that means, based on the information Sony gave in a PlayStation blog post this morning. Running ever-forward while collecting coins, or coin-like shiny circles? Leaderboards just waiting to be crushed by Justin Bieber? Team Meat, the small team behind the indie sensation Super Meat Boy, also announced recently that they're working on their own sort of endless runner too. I hope that these two projects can herald a new age of artfully composed mobile runners. Because as much as I love Temple Run and Jetpack Joyride, I think the genre could use some new ideas before it becomes more repetitive than something called an "endless runner" already is by design. Run SackBoy! Run! is coming out in October for iOS, Android, and the PS Vita. Read more about the game here.